Monaco have confirmed the appointment of Thierry Henry as their new head coach, with the former France international signing a three-year contract. The 41-year-old started his playing career with Monaco before enjoying spells with Juventus, Arsenal, Barcelona and the New York Red Bulls, while on the international stage he helped Les Bleus to glory at the 1998 World Cup and the European Championships two years later. He has been an assistant coach with Belgium for the last two years and now steps up to his first senior role, taking over at the Stade Louis II following the recent departure of Leonardo Jardim. Henry told the club's official website: "I thank AS Monaco for giving me the opportunity to coach the team of this club which is so special to me. "I am very happy to come back to AS Monaco and extremely determined to meet the challenges ahead. I cannot wait to meet the players and start working together." 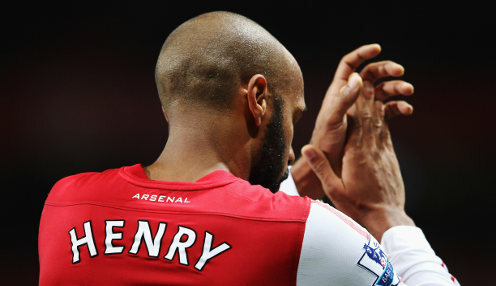 Henry takes charge of a team languishing down in 18th place in Ligue 1, having won just one of their opening nine games in the French top-flight this season. The lone success was a 3-1 victory on the opening weekend of the season, since when they have failed to win any of their ten games played in all competitions. Monaco are currently priced at 1000/1 to finish in the top three in Ligue 1 this season, with Lille 1/250 and Bordeaux 1000/1.